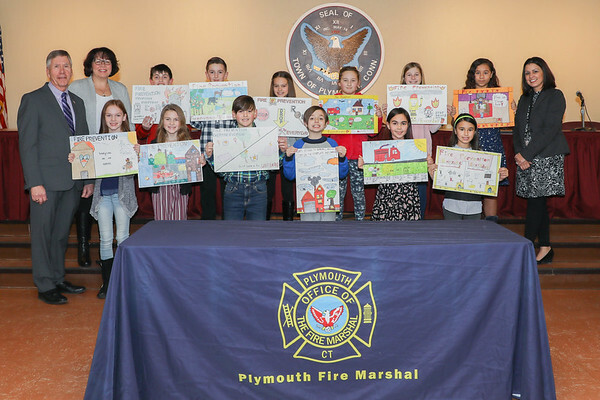 PLYMOUTH - The Town of Plymouth recognized the local winners for the Connecticut Fire Prevention Poster Contest at Town Hall Jan. 16. Posted in The Bristol Press, Plymouth, Terryville on Tuesday, 5 February 2019 19:15. Updated: Tuesday, 5 February 2019 19:18.